We work in two protected areas near Andasibe. Mitsinjo Park (Analamazaotra Forest Station, ~700 ha) is adjacent to the popular Andasibe National Park and supports a similar diversity of flora and fauna. Torotorofotsy (~9,700 ha) is an internationally protected Ramsar Site northwest of Andasibe, with some notable endemic species not found elsewhere in nearby reserves. Located adjacent to Andasibe National Park, Mitsinjo Park is composed of a little over 700 ha of rainforest and abandoned timber plantation we have restored to native forest. Known primarily as the best place in Madagascar to view the Indri, it is home to at least 12 other species of lemur and is also popular for bird watching and for its diverse reptiles and amphibians. Historically the forests of Andasibe, including both Mitsinjo Park and the National Park across the road, were a source of timber under royal Merina and colonial French rule. As the exploitation of its timber weighed heavy on the forest, the French decided to establish an experimental forest station that should focus on ways to more sustainably use it. In 1909 Analamazaotra Forest Station became the first of its kind in Madagascar. The French experimented with a number of fast-growing exotic trees. The introduction of both pine and eucalyptus dates back to the 1910s and in some areas of Analamazaotra these trees are still apparent today. Colonial forestry also contributed to an enormous increase in the knowledge of the endemic plants of the region. Botanists like Modeste Louvel, Henri Jumelle, Henri Perrier de la Bathie and René Capuron all worked in Analamazaotra for the Service Forestier. Many trees and other plants of the area were named after them. After independence, collection of botanical specimens was continued by FOFIFA, who were also in charge of the nearby Andobofito fish breeding station. Known as the “station forestière et piscicole”, Analamazaotra was then managed by the Service des Eaux et Forets. 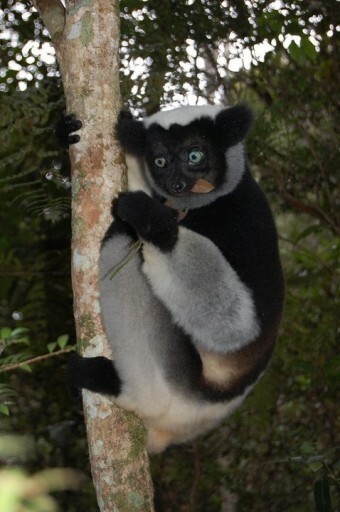 In 1970, the eastern part of Analamazaotra was set aside as a Special Reserve to protect the indri. This later came under management of the new Association Nationale de la Gestion des Aires Protégées (ANGAP), today known as Madagascar National Parks (MNP). The western part stayed under administration of the Ministère des Eaux et Forets until 2003, when Association Mitsinjo signed a contract with the Ministry and took over its management. The forest managed by Mitsinjo now covers a considerable area of original rainforest and vegetation currently being restored to it. Situated in one of the biodiversity hotspots of Madagascar, Mitsinjo Park is exceptionally rich in biodiversity, from plants to insects to frogs to birds to lemurs. Our forest is home to up to nine groups of Indri, two of which have been habituated thanks to the splendid efforts of Mitsinjo’s monitoring agents. 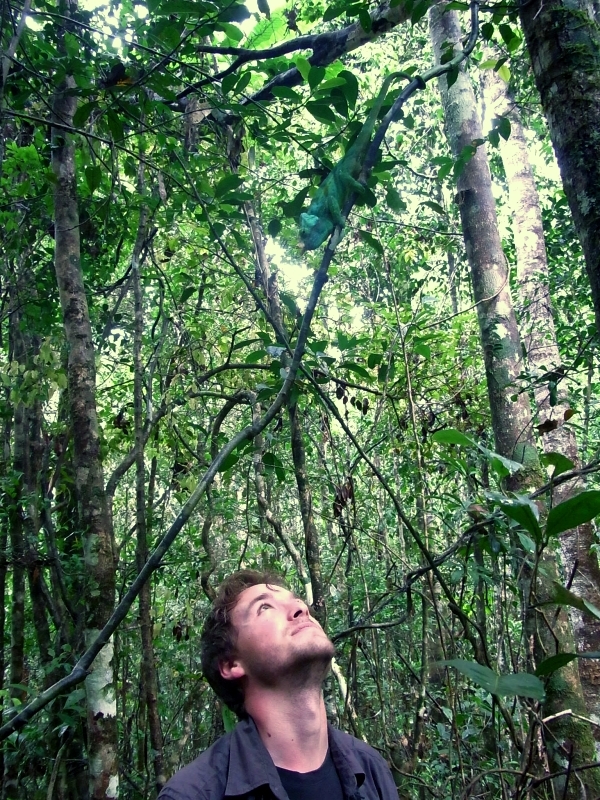 Entering this lush rainforest from the Mitsinjo office, you can explore its unique array of flora and fauna. Pass by one of our tree nurseries, climb the upper reaches of Analamazaotra via the Cardiff stairs, descend to the placid Orchid Park and come back again crossing calm creeks flowing through a serene scenery only interrupted by birdsong and the buzz of cicadas. Situated in the fokontany of Menalamba in the north-west of Andasibe Commune, the Torotorofotsy wetlands (together with its three branches Mokaranana, Ankahelava, and Ambasimbavy) serve as a large reservoir for water and host an array of water dwellers. Birds, frogs, lemurs and chameleons depend on the wetland just as much as the rural human population living close to it. Torotorofotsy once was one of the last intact mid-altitudinal marshes in Madagascar. In recent years, human encroachment has unfortunately led to its increasing degradation as its wild form faces impending transformation into rice fields. Mitsinjo is working with the surrounding communities to raise awareness of the importance of preserving this unique wetland while teaching farmers how to use the land more efficiently to protect it for future generations. The marshes and their surroundings are immensely rich in biodiversity. The herbaceous vegetation of the marshes is dominated by three plant families (Cyperaceae, Poaceae and Polypodiaceae) and contains the carnivorous plants of the genus Drosera. The marshes are home to the elusive Slender-Billed Flufftail (Sarothrura watersi), Greater Painted Snipe (Rostratula benghalensis) and aggregations of waterfowl such as Meller’s Duck (Anas melleri). Another bird, the Madagascar Scops Owl (Otus madagascariensis), was the namesake for the marshes. Called torotoroka in Malagasy, the scops owls of the region are believed have a white (fotsy) plumage which distinguishes them from their conspecifics occurring elsewhere. At the marshes’ periphery, Pandanus pulcher is abundant. The ground between their inondated stems are the realm of the Golden Mantella (Mantella aurantiaca). Scattered in between the marshes are small islets of woody plants. Adjacent to the marshes grows rainforest that extends all the way into the Ankeniheny-Zahamena Corridor. 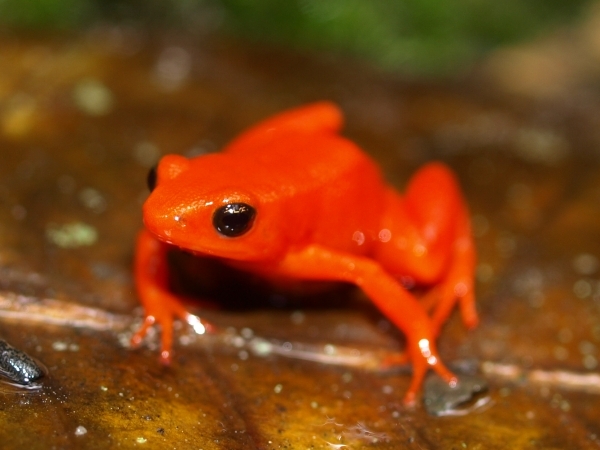 Here live other amphibian species, such as the Yellow Mantella (Mantella crocea) or the beautiful Painted Mantella (Mantella baroni). These dense forests are exceptionally rich in giant bamboo, the staple of the critically endangered Greater Bamboo Lemur (Prolemur simus). The coarse calls of the equally rare Black-and-White Ruffed Lemur (Varecia variegata) can also be heard in these forests. Justified by its enormous biodiversity, and based on groundwork by Mitsinjo, Torotorofotsy was declared Madagascar’s 4th Ramsar site in 2005. However, legal protection under the Ramsar Convention, an international treaty for the protection of wetlands of international importance, is weak. Mitsinjo therefore worked closely for years with the government and other partners to transform Torotofotsy into a new protected area. This goal was reached in May 2015. Torotorofotsy obtained official protection status. This will help guarantee the long-term survival of its biodiversity and the economic improvement of its human population through the sustainable use of its natural resources. The local population (about 2,000 people) almost entirely depends on Torotorofotsy’s natural resources and the area has recently witnessed a further considerable influx of migrants that increased human pressure on the marshes. Pressures include drainage of the wetlands and turning the core areas into rice fields. Illegal timber extraction is also a grave threat. The proximity of Torotorofotsy to the Ambatovy nickel mine and the construction of a bisecting pipeline by the mining company are further challenges that Mitsinjo aspires to mitigate. Torotorofotsy marsh is also a destination for tourists and researchers alike. In 2007, a population of one of the rarest lemurs in the world, Prolemur simus, was found in the Torotorfotsy area. It previously was thought to only exist in small populations in Ranomafana National Park, so the discovery of this Torotorofotsy population has lead to a deluge of scientists working in the area, hoping to find more populations.